New Swaayed members begin with a level 1 account. That means you haven't fully setup your account or participated in many campaigns. As you begin using the site, you'll earn experience, which will unlock new levels. The higher your level, the more money you make in each campaign. Q: What is % payout kept? A: Most advertising networks work off a revenue share model. That means that advertisers pay to the network, and the network shares the revenue with the publisher (you). Advertisers like YouTube have a 55/45 split, where content creators keep 55% and YouTube keeps 45%.  Swaayed starts out with influencers keep 70%, and can quickly level up to keep 100% of the revenue split. For example, say the price advertisers pay per click is $1.00. A level 1 influencer would keep $.70, and Swaayed would keep $.30. A level 5 Influencer would keep $.83. A level 10 VIP would make $1.00, plus a bonus, depending on the traffic quality. Q: Will there be more levels, and will the values change? A: I'm sure we'll need to tweak the values as go based on feedback from the community. We want to make this fun, fair and rewarding for all members.